Ed Hill was born in Centralia, Illinois. He received a Bachelor of Music degree from Southern Illinois University in Carbondale in 1987 and obtained his Master of Arts degree in music education from The Ohio State University in 1998. 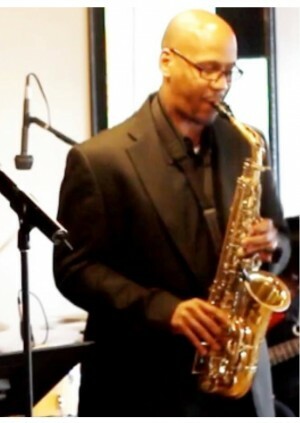 He is a saxophonist (soprano, alto and tenor), keyboardist, songwriter, arranger, composer, producer and performer. As a writer, arranger and producer, Ed has penned songs featured on the albums/CD’s by New Salem Missionary Baptist Church Mass Choir (“We Win”), New Salem FCC Male Chorus (“Fulfill Thy Ministry”), Craig West (“His Will” and “Forever My Soulmate”). He has produced theatrical music productions (Higher Ground and Heritage Christian Center’s Easter Program). He has arranged music for marching bands and music for various functions, events and ceremonies. As a musician, Ed has performed with greats ranging from Dizzy Gillespie to CeCe Winans. He has played in London, Ghana West Africa and around the United States – New York, Los Angeles, Atlanta, New Orleans, Detroit, Chicago and St. Louis. He has performed the National Anthem for the Chicago Cubs (Wrigley Field) as well as performed on stage at the Apollo (Harlem, NY). Ed has performed as a session musician on various recordings, as a saxophonist/keyboardist, in multiple bands and as a music director for multiple performances and events. He currently serves as the saxophonist and assistant director of the FCC Male Chorus at New Salem Missionary Baptist Church. He continues to lend his sound to various groups/musicians locally and abroad.